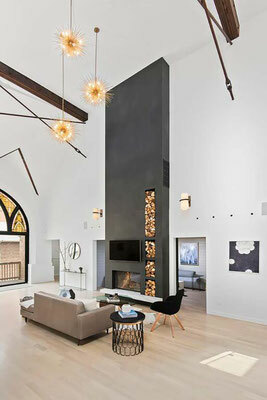 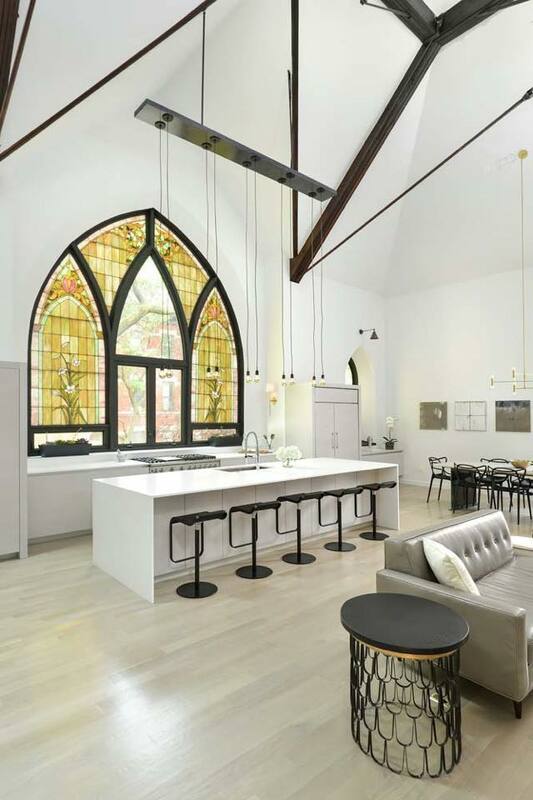 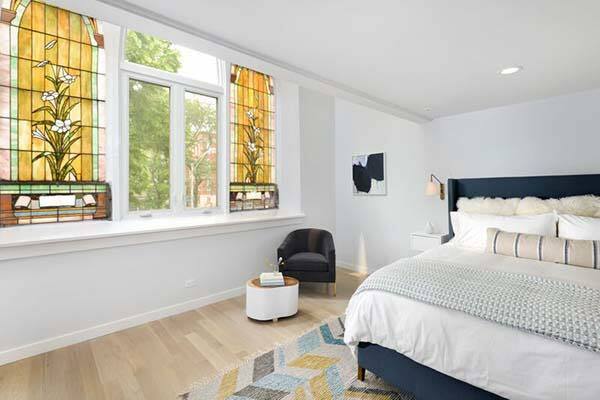 This beautiful church conversion project was carried out by interior architecture firm Linc Thelen Design, located in Chicago, Illinois. The open plan living, kitchen and dining area features a dramatic floor-to-ceiling double-sided fireplace with built-in niches for wood storage and soaring ceilings with skylights that bathes the interiors with natural light. 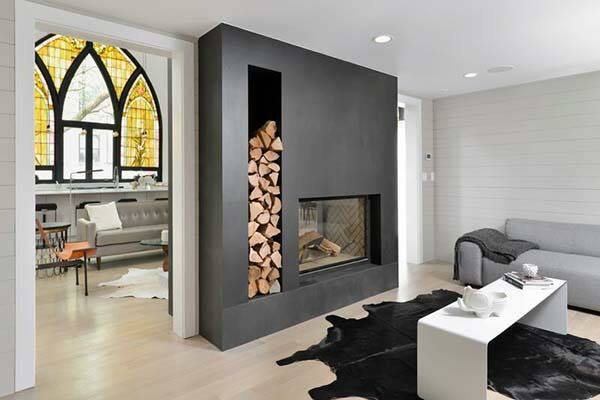 Design finishes that have been incorporated into the interiors gives off a hip and eclectic vibe, which is coupled with visually intriguing wall coverings and light fixtures. 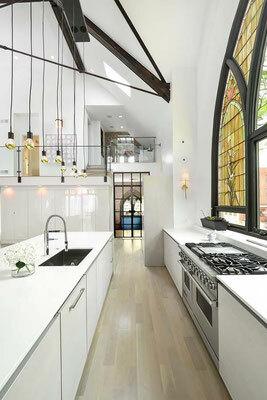 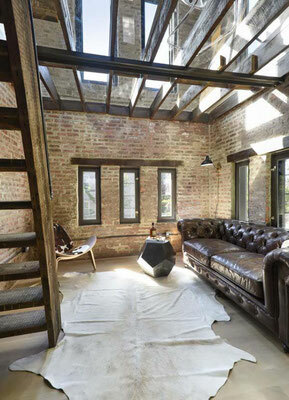 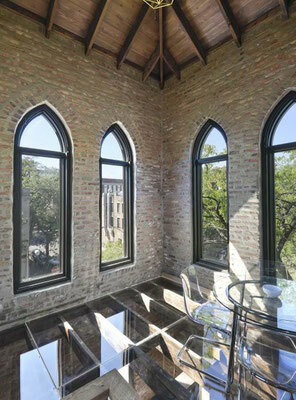 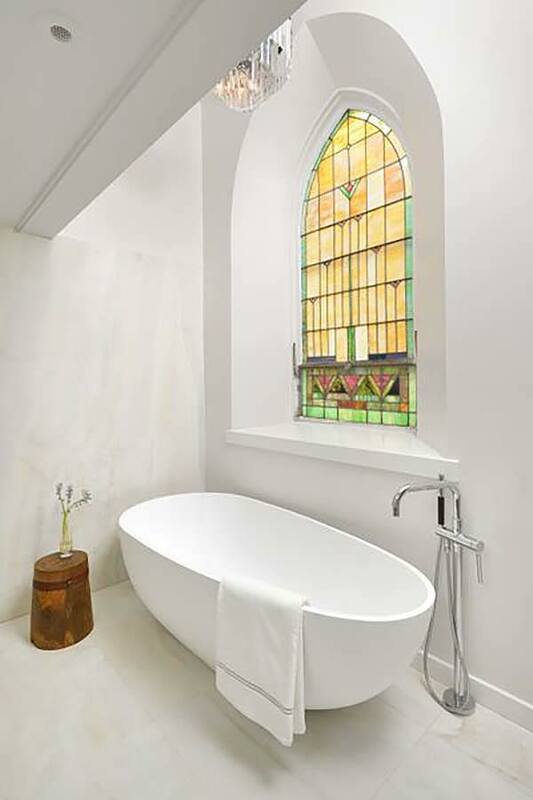 The converted church features historically preserved details, which includes the original stained glass windows, a bell tower, exposed brick walls and ceiling turnbuckles, while still incorporating modern day amenities. 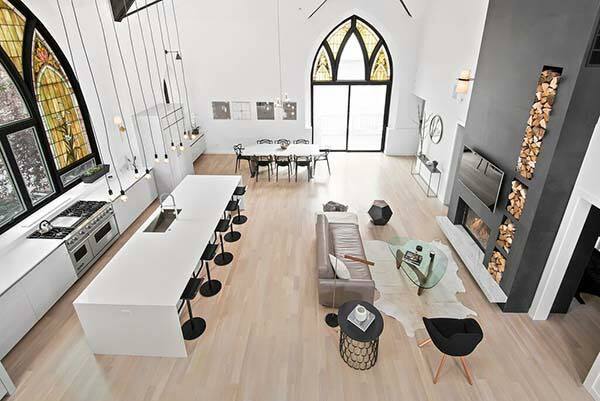 Crisp white walls and bleached wood plank flooring keeps a simple color palette that focuses your attention to the stunning architectural elements that this preserved church has to offer.